On Thursday November 20th the MIL students and I visited Claus Uriza, CEO of Pop Art Lab. As usual we met in the Holodeck before going to see Claus. 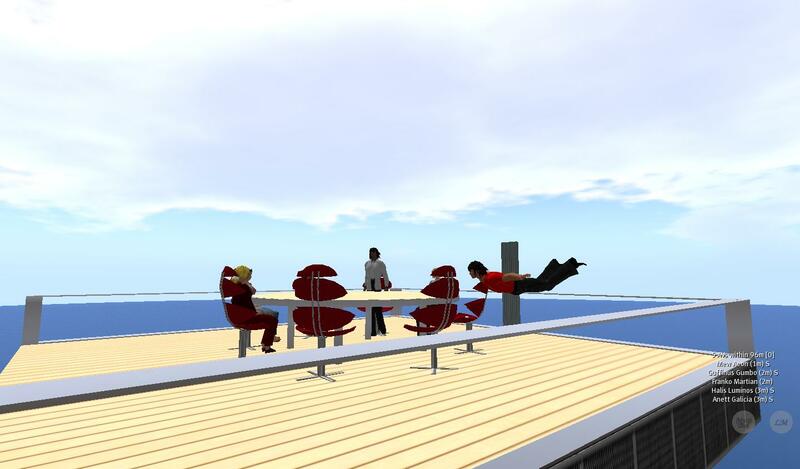 Two of the students had been shopping animations and Franko could not help showing off his new swimming moves :-) I have to say that I truly appreciate this ability to attend meetings in new ways. Even though we’re engaged in serious academic studies, I do not really get why it always has to be so conservative and boring … show me hard evidence that learning only occurs when it hurts, and I might change my mind! Until then … let’s have fun while working! At 11:30 AM SLT we showed up at Pop Art Lab, which has just been redesigned so that Claus and his team can start having live music events recorded by SLCN.tv – I think they start out on December 5th, but you can always check out Claus’ blog for updates. 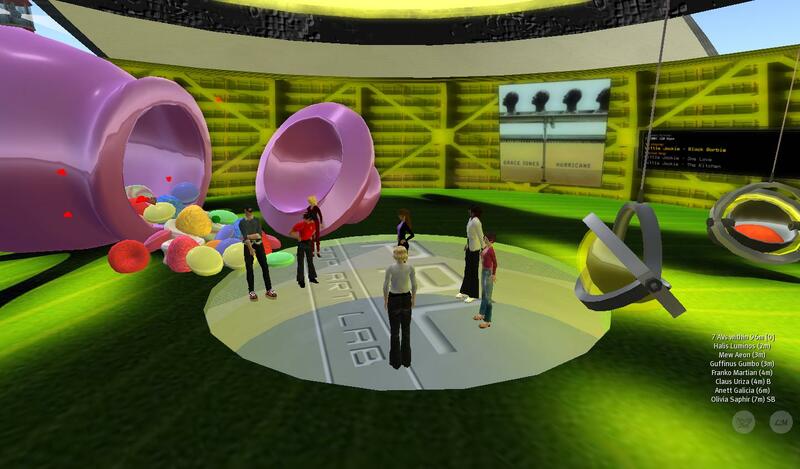 Claus gave us a tour of the Lab while talking about his project in-world. Claus’ mission is to give residents musical experiences combining the latest music releases with live events, the latter usually during weekends. 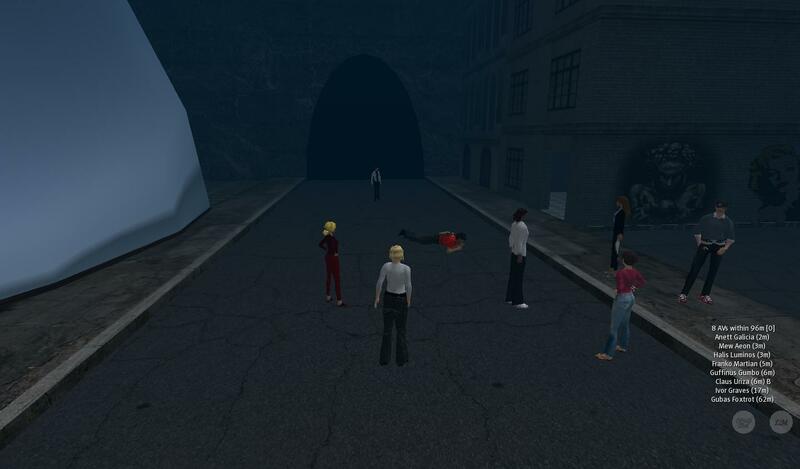 When planning the in-world activities I was initially completely focused on showing the students educational sites, but I quickly realized that such a focus would deprive the students of valuable lessons and most likely they would not be able to grasp the huge potential of SL. So I’ve arranged for us to meet with various personalities and in many different settings. 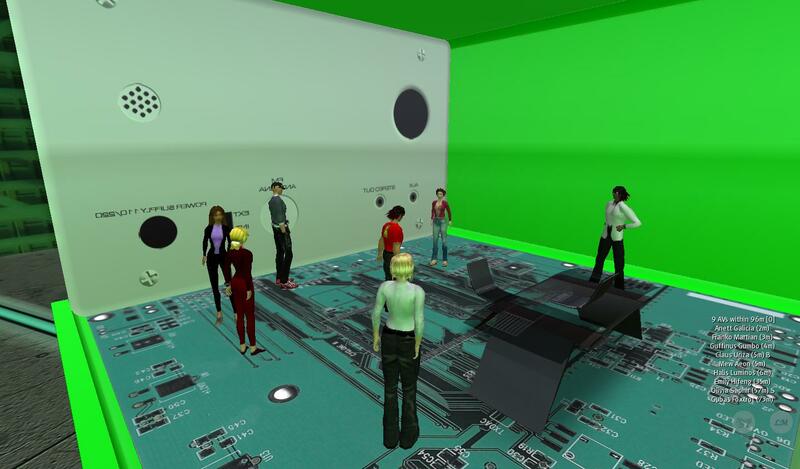 Visiting Claus not only provided the students with factual information on how to manage sound in-world, it also showed the students the sort of dedication and community, which I personally find most appealing about SL. 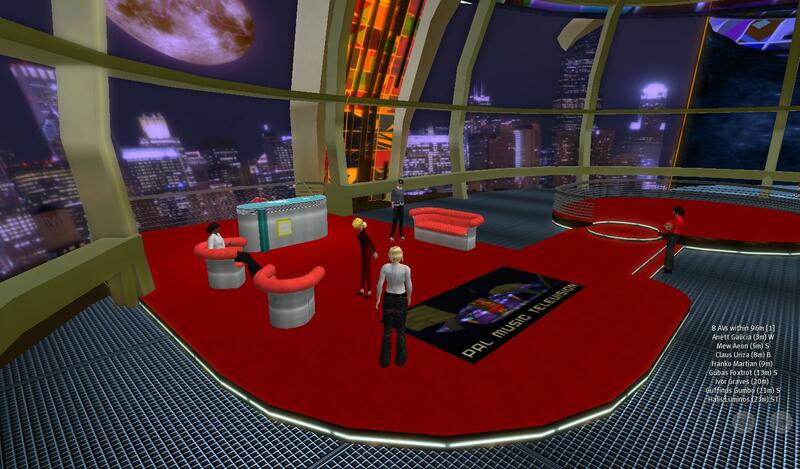 Also it was an opportunity to talk a bit about the SLCN.tv – not many newcomers realize that we actually have our own TV station … quite remarkable for a virtual world! We ended the tour in an underwater world below the Lab, and this really was Franko’s right element! When Claus left we debriefed the visit and I tried to explain some of my didactical thoughts and arguments, and it seemed as if the students appreciated this type of visit very much. I guess they too can become a bit tired of speaking about education all the time :-) It was also the first time for most of the students to meet and talk to somebody other than me (and our 2 guest teachers Dr. Asp and Heidi Ballinger), and of course that’s always interesting. Most of the students are still a bit shy when it comes to connecting with others in-world and I tried to explain how I felt when first entering the world. Earlier on Claus had expressed his sentiment of SL being a very friendly and easy going place – and I agree. For sure we sometimes hear of unpleasant incidents and I too have been griefed, but in general SL truly is a nice place to be. It’s a Dogs life … or is it?